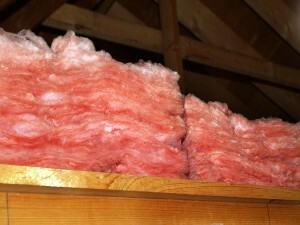 Is it Time to Replace the Attic Insulation in Your Columbia, SC, Home? Attic insulation probably isn’t something you think about every day. In fact, if you’re like most homeowners in Columbia, South Carolina, you probably don���t give it a second thought. However, the experts at 31-W Insulation advise that you keep an eye out for a few changes that could signal it’s time to replace or upgrade your insulation. Your energy bills are creeping up – Are you noticing an increase in the amount you spend each month to heat and cool your home? If energy rates in Columbia haven’t gone up, but your bill has, take a look at your energy consumption. Your heating or cooling unit may be working harder and running longer to keep your home at comfortable temperatures. You can���t get comfortable – When attic insulation settles or degrades, it creates pockets that allow the outside air to come in, and your conditioned air to leak out. This means your HVAC unit may not be able to keep up with regulating the temperature in your home. Your house seems noisier – Insulation not only protects your home against energy loss, it also helps muffle outside noise. If you notice an increase in the penetration of exterior noise, you need to consider adding or replacing attic insulation. If any of these problems sound familiar, turn to 31-W Insulation. We’re a company with an A+ rating from the Better Business Bureau, which means you can be confident that we can address all your insulation needs to provide you with a more comfortable home environment and potentially reduced energy bills. For more information about attic insulation for your Columbia, SC, home, contact 31-W Insulation today.